An influential business group called Friends of the Supergrid held its first conference last week in Brussels to further their objective of a Europe-wide renewable-powered electricity grid. 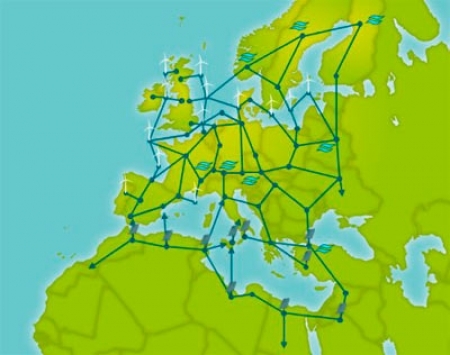 This is a huge undertaking, connecting the national grids of EU countries together via "SuperNodes" to enable massive amounts of renewable energy to replace fossil fuels by 2050. Friends of the Supergrid President, and CEO of Irish company Mainstream Renewable Power, Dr Eddie O'Connor stated, "There are now no technical barriers to the delivery of a European Supergrid. What is now required is the regulatory and investment framework to enable the construction of its first legs, to bring sustainable, clean energy from the north and south of Europe to cities and communities across the continent." In tandem with the conference FOSG released its first Technical Report, which examines the technological challenges to be solved if the Supergrid is to be anything more than a dream. The report concludes that there are no technical problems, what they call "show-stoppers" to prevent a Supergrid which would span from North Africa to the Scandinavian countries, bringing clean, renewable power to benefit a large number of people and reduce the damage greenhouse gases are doing to the environment. The Supergrid would wean energy consumers off fossil fuels and provide much-needed energy security if the grid was running on 90% European renewable energy rather than natural gas imported from unstable and far-off regimes. This would cost a lot of money initially. The conference was split on whether to have a "top-down" overall EU plan, which would save money in the long run, but probably would be slow to get agreement, or proceed incrementally, with national grids pairing up "interconnectors" so they could exchange electricity with each other under a defined grid code, until a wide network was formed piece by piece as the other option. Eddie O'Connor believes in the first option, but other conference attendees thought the seond more practical. A group under Christopher Marchant of Parsons Brinckerhoff is working on a cost model, the financial implications are expected to be clearer when the group reports. He says, "The Supergrid requires a stable community-wide regulatory framework that sustains investment." How to split the costs between the public and private sector and how the returns on investment should be allocated is a complex problem in itself. It looks like the first part of the Supergrid will be linking up countries around the North Sea. As countries add more offshore wind turbines it has become apparent that they need to be co-ordinated. So the North Sea Offshore Grid project has been created between neighbouring EU countries and Norway to mesh their many projects together. The ISLES project is also advancing, which likewise seeks to link Scottish, Northern Irish and Ireland's renewable initiatives together. The Supergrid is likely to create business opportunities, energy security, as well as a considerable number of jobs. The difficulty is that such an ambitious project is not top of the agenda in these troubled financial times. 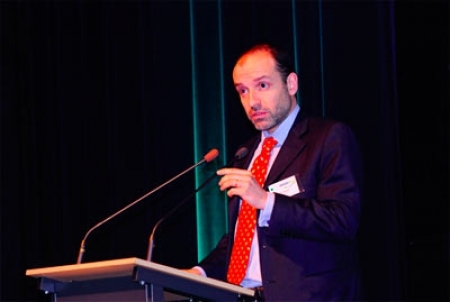 Marcello Del Brenna, the Chairman of FOSG and CEO of Prysmian Powerlink of Italy, concluded that the Supergrid "must be developed for the benefit of all European citizens of today and tomorrow. The first legs of Supergrid will be regional projects linking markets in the North Sea basins, but the longer term planning for a European Supergrid will require a common objective at EU level. Only then can we bring new sources of renewable energy to citizens across the EU." There can be no transition to a de-carbonised economy without the transmission structure - the Supergrid - to make sufficient electricity available to end-users across Europe at all times.